Kanye Omari West is an American songwriter, singer, rapper, fashion designer and record producer from Atlanta, Georgia. West initially gained recognition when he first started his early career as a producer for Roc-A-Fella Records in the early 2000’s. Since then, West’s career has only risen to the top and he is today one of the best rappers in the hip-hop industry. 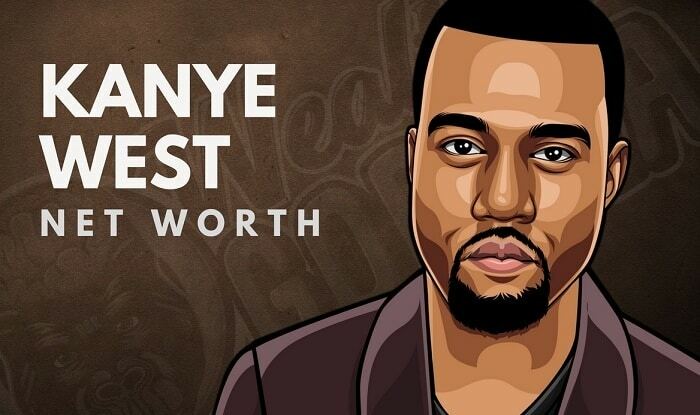 Kanye West’s net worth is estimated to be roughly $250 million dollars. West is one of the most controversial musicians in hip-hop and has definitely made a name for himself. Kanye Omari West was born in Atlanta, Georgia on the 8th of July, 1977. His parents divorced after he was 3 years old, and Kanye lived with his mother in Chicago. His father, Ray West is a former Black Panther and moved to Maryland after the divorce to open a store and cafe with capital from his son. West began rapping in the third grade in school and began making musical appearances in the seventh grade. He received a scholarship after graduating from high school and attended Chicago’s American Academy of Art in 1997. West dropped out from school when he was 20 to pursue his musical dreams. Kanye West was involved in small music productions until early 2000. He made music for local artists and was a producer for Deric ‘D-Dot’ Angelettie. He got his big breakthrough when he became the producer for artists on Roc-A-Fella Records where he collaborated for singers like Ludacris, Common, and Cam’Ron. West started his career as a successful producer but his heart’s true desire was to become a rapper. In 2002 he got the breakthrough in his rapping career when he released his debut album ‘Death’. He came up with his second album ‘The College Dropout’, which sold 441,000 copies in its first week. In 2005 he collaborated with composer Jon Brion to work on West’s new album ‘Late Registration’. His earlier album had already sold 2.3 million copies in the U.S.
Two years later he released his third studio album ‘Graduation’ which peaked No.1 at the US Billboard 200 and sold about 957,000 copies in its first week. The track titled ‘Stronger’ became Kanye’s biggest single hit. In 2010, West released his fifth album ‘My Beautiful Dark Twisted Fantasy’ which topped the Billboard charts in its first week and was considered as a genius piece of work by the critics. The album became platinum in the States. Since then West has sold millions of copies and is known for being one of the best rappers in the world. He has collaborated with the likes of Eminem, Jay-Z, Beyonce and more. As of 2019, Kanye West’s net worth is $250 million dollars. 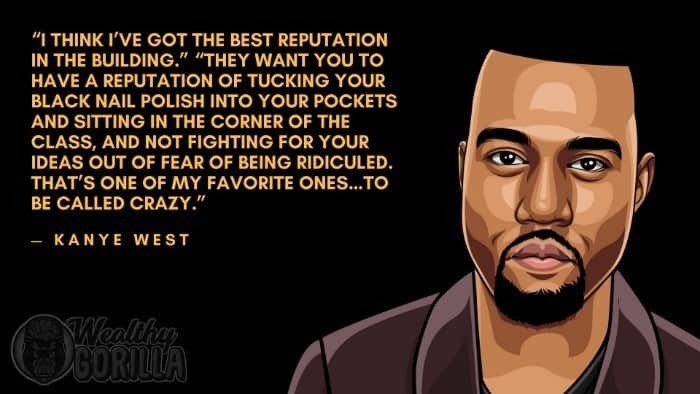 View our large collection of the best Kanye West quotes! We all are quite similar. We may have been born into different walks of life and walk onIt a different path. What we have in common is that we all are working toward our own goals: success and happiness. It is very important to figure out how to tell our personal stories to the world. There’s no need to pretend that everything is ok. Racism is still alive and it needs to be a huge change about that. Today, people try to pass off their racism as “just jokes” which is not okay. Each person has a “day ones”. They’re friends and family who have been by our side during the good times, bad times and ugly times, since day one. Those people will be there for you in good and bad times. stick to those people who will be happy for your success in life. There’s no doubt that Kanye West is one of the most successful rappers of all time. West has collaborated with stars all over the world and has made his name famous by also starting a fashion company and a record label which he started by himself. 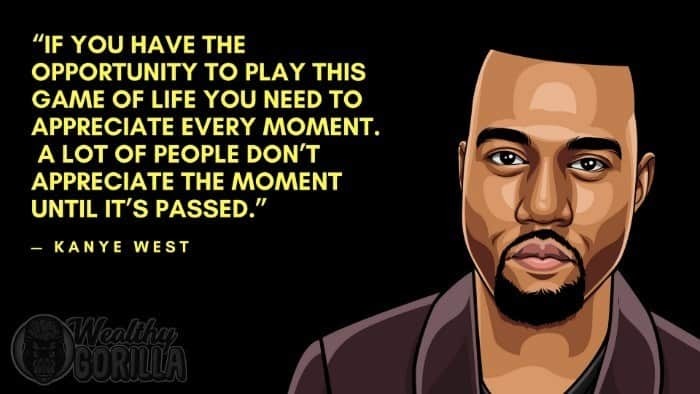 What do you think about Kanye West’s net worth? Leave a comment below.